Our whole and half steers are priced at a flat fee. This includes the steer which is at least 900 pounds live weight. From the 900 pounds, our beef averages 325-350 pounds take home beef. This is a very lean beef. The take home weight can vary from our average depending on how the customer has it processed. The flat fee also includes processing and vacuum packaged for your freezer. We will deliver it to you for free as long as it is a reasonable distance. Once the order is placed, you will be given a process date. A deposit of half is required before the processing date. We are excited to offer you the latest in technology to make placing an order with us so easy! Please Click Here to select an order form, then continue on to fill it out and submit it to us. As always, if you have any questions or need more information, please feel free to call us at 706-625-8848 or email us at degraanfarms@gmail.com . 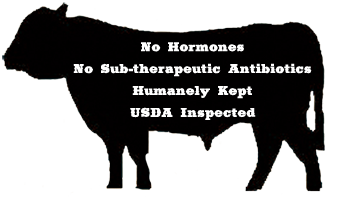 Thank you for your loyalty and trust in the best grass fed beef available!